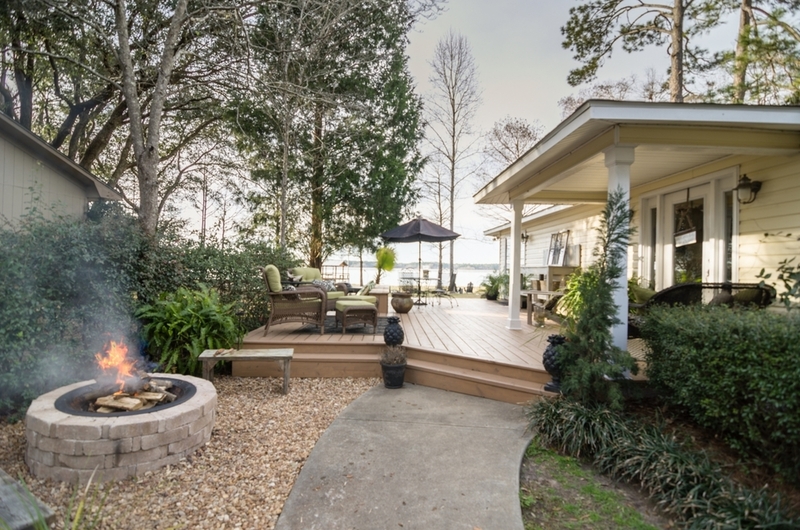 Enjoy spacious cottage living on beautiful Lake Seminole and access to Apalachicola, Florida and the Gulf of Mexico by a leisurely day's boat ride. 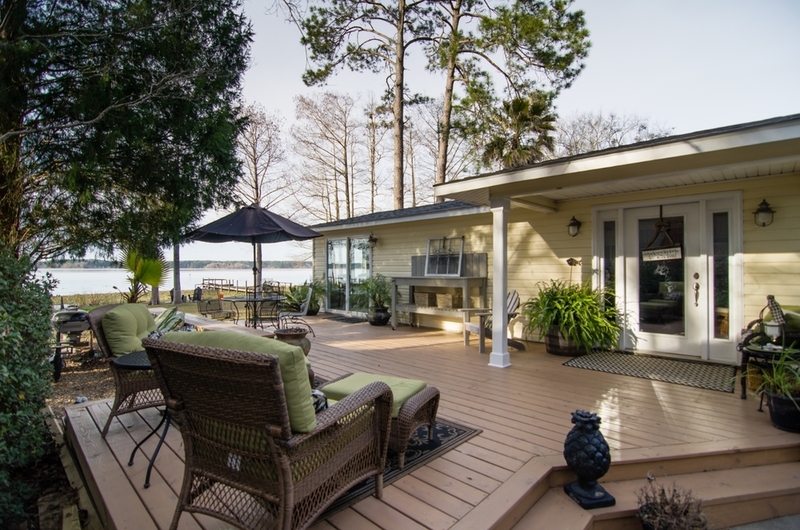 This 3 bedroom/2.5 bath home boasts gorgeous waterfront views with professionally landscaped yard, dock access on the main body of the lake (1+ mile wide view). Home features eat-in kitchen with custom bead board cabinetry and stainless appliances, dining room open to large living area complete with masonry gas fireplace, and three bedrooms including an oversized master suite with cast iron footed tub, separate tiled oversized shower, double vanity and walk-in closet. 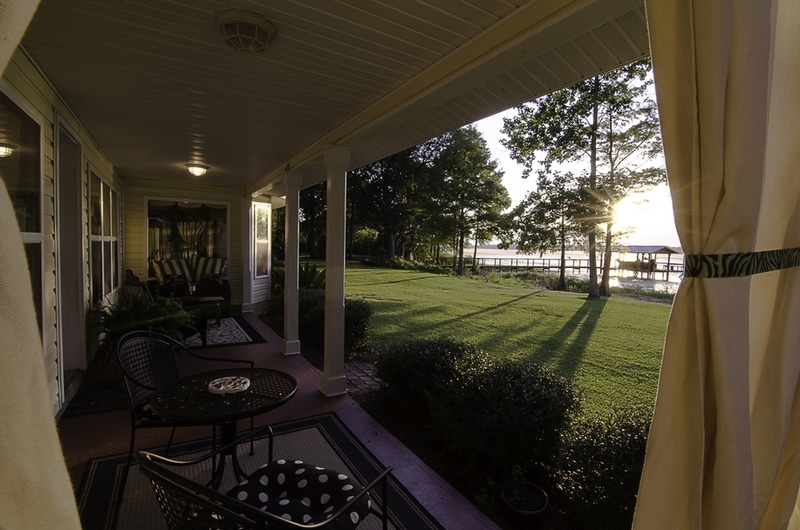 In 2005 the home was completely gutted to the foundation and all interior walls were torn out and replaced in '05. Because of the amount of work being done to the home the county required that the entire home had to be be brought up to the new code standards. This included new insulation, wiring, plumbing, septic and drain field, heat and ac as well as a new electrical service to the home. Outside of heart-pine beams and the bricks in the fireplace that were reclaimed and refinished for decoration inside the home- there is very little of the 1961 home remaining. Owner is a licensed realtor.